People in Kent are being consulted over whether or not homoeopathic treatment should be paid for by the NHS. The result of the study by West Kent Primary Care Trust (PCT) will dictate the future for the Homeopathic Hospital in Tunbridge Wells. The clinic treats up to 1,000 patients a year but is threatened with closure as the PCT is seeking to save £160,000. Members of the public are being invited to five discussion events in May. The consultation is due to end in July. The events are being held at Preston Hall, Maidstone, on 8 May, and Gravesham Community Hospital on 11 May, while three sessions are taking place at the Camden Centre, Tunbridge Wells, on 16 and 21 May. A public consultation document entitled "Should the NHS pay for homeopathy? ", which will be the focus of discussion, is due to be published on Thursday. The document, which will be available to the public on request, is the culmination of three months of work by a steering group set up by the PCT. It outlines the arguments for and against providing homeopathy on the NHS and has a feedback form with a freepost address. All the comments from the events and the feedback forms will be collated into a report compiled by an independent author, and presented to the West Kent PCT board on 26 July, when a final decision will be taken. 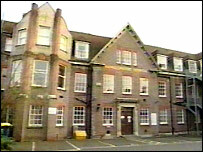 The Homeopathic Hospital also houses community paediatrics and a child and adolescent mental health service, but it is just the homeopathy department that is under threat.